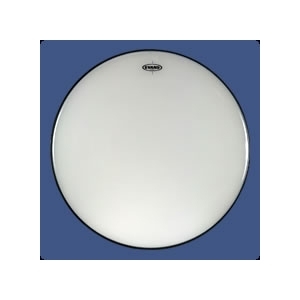 Evans™ Orchestral Series Timpani Heads are pre-tensioned for tuning consistency and have a black, powder-coated steel insert ring that delivers desired effect when pedaled and affords additional support once the head is under tension. It performs magnificently at pianissimo with soft mallets, yet will not break up or sound harsh under the stress of triple forte. Through all dynamic ranges, Orchestral Series Timpani heads retain definite pitch. Available in incremental sizes 20"-36".